Originally from Dothan, Alabama, Dr. Stephanie Simmons graduated from Auburn University in 2006 with a Bachelor of Science degree in Biomedical Sciences. She received her dental training at the University of Alabama at Birmingham School of Dentistry and graduated in 2010 with a Doctor of Dental Medicine degree. Following dental school, Dr. Simmons practiced as an associate dentist in Montgomery with Dr. Billy Foxworth, a prosthodontist, where she performed a wide variety of general dentistry procedures such as fillings, crowns, bridges, partial dentures and dental implant restorations. She later practiced as a staff dentist for Sarrell Dental Center, a children’s nonprofit organization that focuses on treating Alabama’s Medicaid and ALLKids population, and spent one year as the sole dentist in the Enterprise, Alabama location. In this role, Dr. Simmons was able to gain significant experience, providing dental care for children ages 18 months to 20 years old. 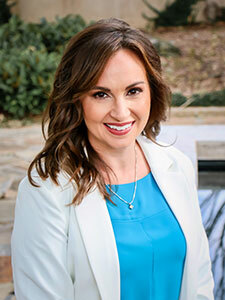 In 2012, Dr. Simmons launched her own practice, Tigertown Family Dentistry. Her vision is to provide quality dental care for families in a warm, friendly environment and educate patients of all ages about the importance of proper oral health. Each Monday, Dr. Simmons works at Lighthouse Children's Dentistry in Auburn, a pediatric dental clinic devoted to servicing the community's Medicaid population.